This is one of my easy, festive chicken recipes. I have made it in the crockpot, stove top and pressure cooker and it always comes out great! ½ cups wine, broth or water. 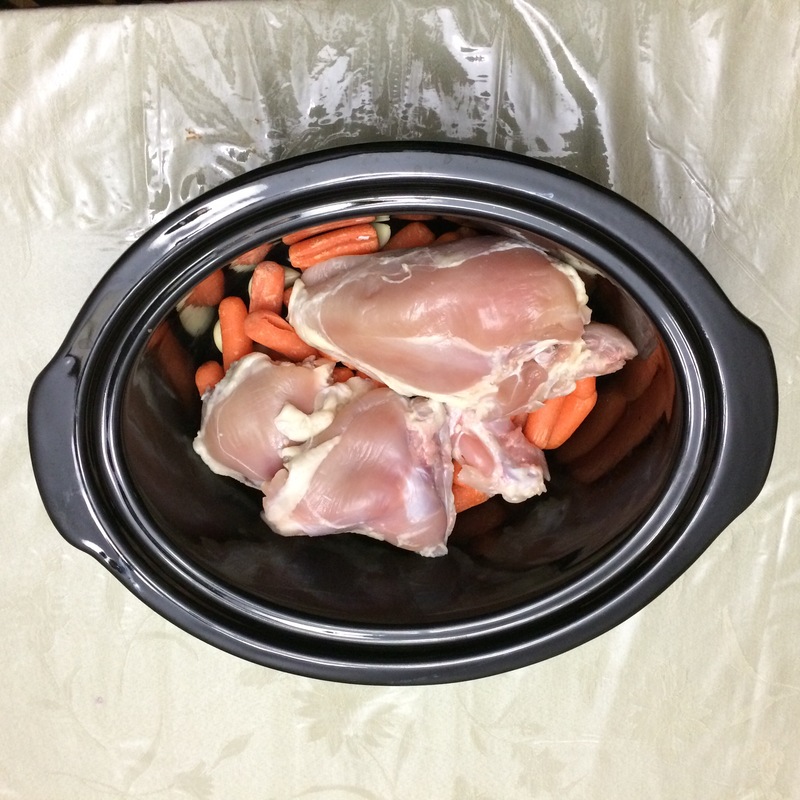 Place chicken, carrots and garlic in crockpot. Season, add water. Cook on low. I also make this in the pressure cooker, 7 minutes to pressure. This also can be made on top of the stove. I call it maximum taste for minimal effort. A winner every time. Optional: remove chicken and carrots once cooked. Add starch which has been dissolved in water. Cook on high until thickened and pour over chicken and carrots. Adds an easy gourmet touch. When I made it over the holidays, I couldn’t take a picture because all the chicken was eaten and there were only a few leftover carrots! I had leftover cooked carrots this week that I didn’t want to go to waste. 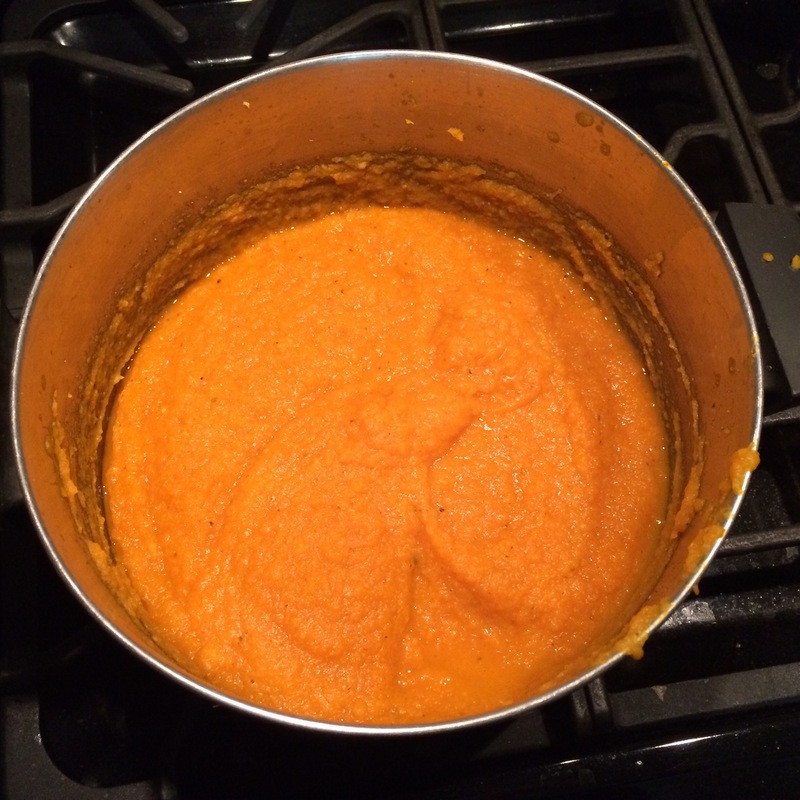 So, at Raizel’s request, I made this carrot soup. This is a very fast and easy recipe and a great way to serve vegetables! Alternative Additions: This can also be made with butternut squash and/or a potato. A potato would give it a thicker, creamier texture. I have also added almond butter, which gives a really rich taste, but a little too risqué for some people. Sauté onions, add carrots and parsnips and water to cover. Bring to a boil, cover and simmer until done. Add spices and then blend with an immersion blender. Adjust seasoning. I made this on top of the stove, but it could be made in a crockpot or pressure cooker. In a crockpot, be careful not to over cook. In a pressure cooker, 2 minutes to pressure if vegetables are sliced. Everyone loved it! Yaffa even asked to take it to school for lunch. 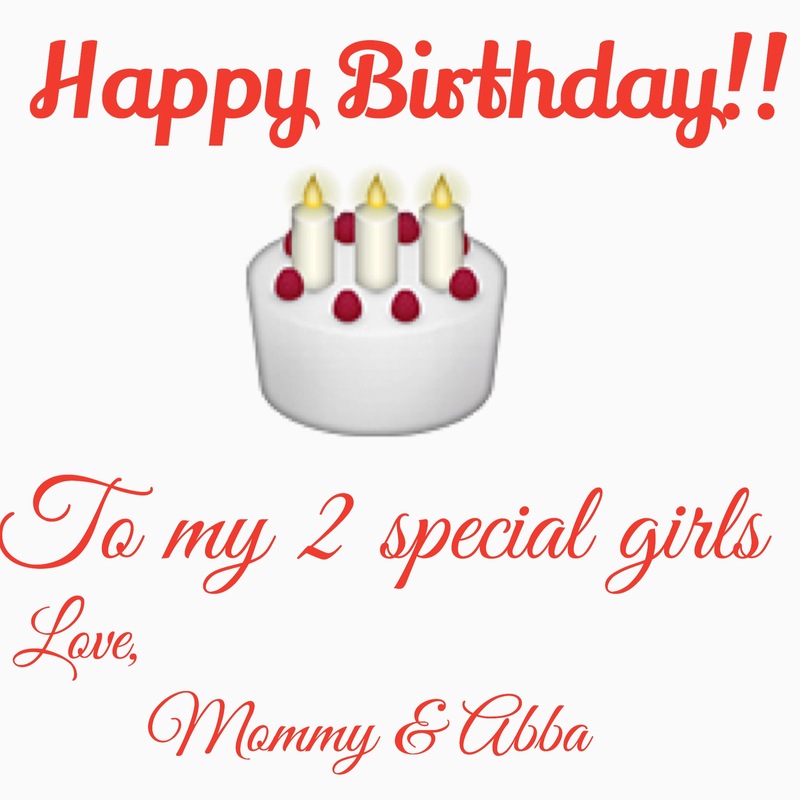 Today is my daughters’ birthdays. 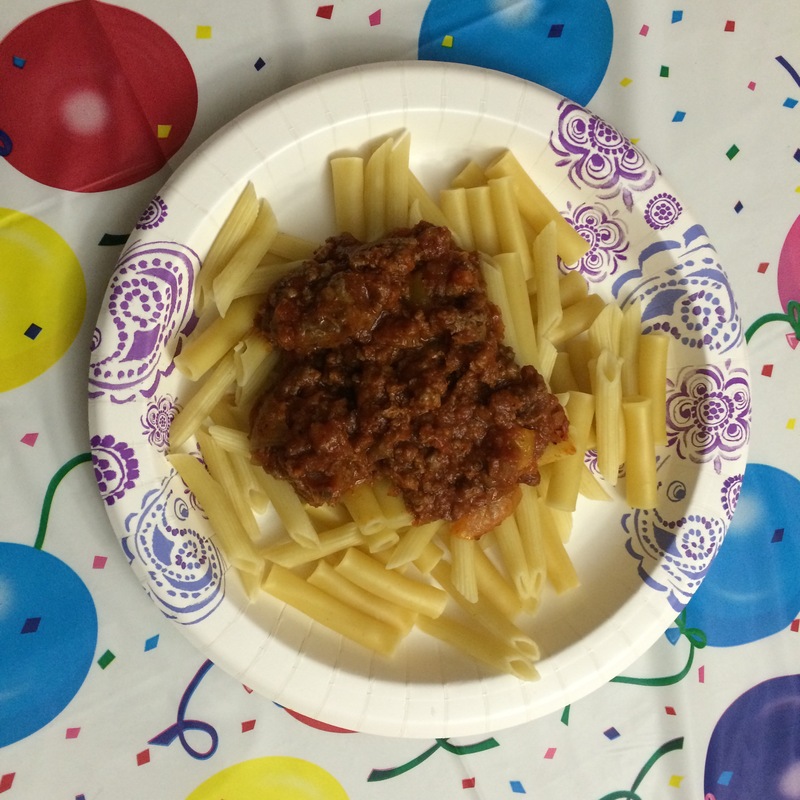 They made a special request to have noodles and meat sauce for their birthday dinner. 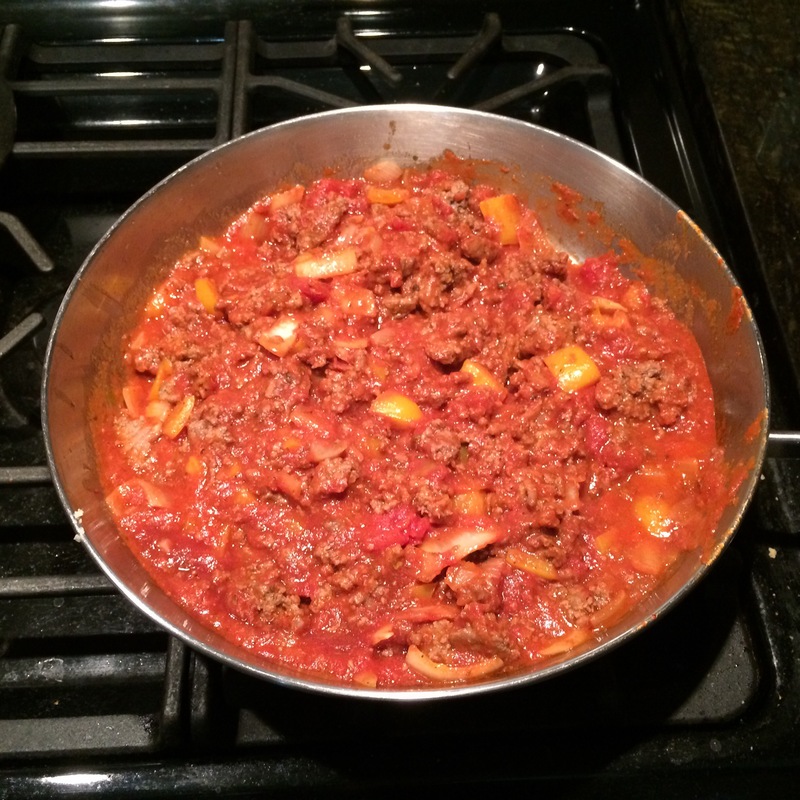 There is a more gourmet way to make this, which I will post too, but this is my fast and easy meat sauce on the fly. If using canned tomatoes, adjust the seasoning. 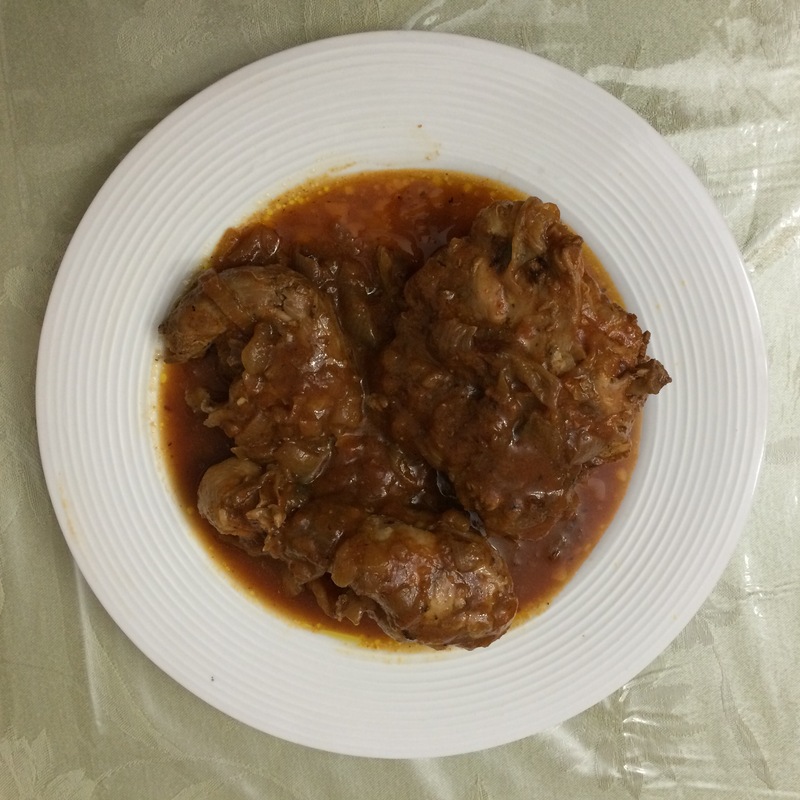 Brown meat in sauce pan and remove neat after cooked. Sauté onions and peppers. 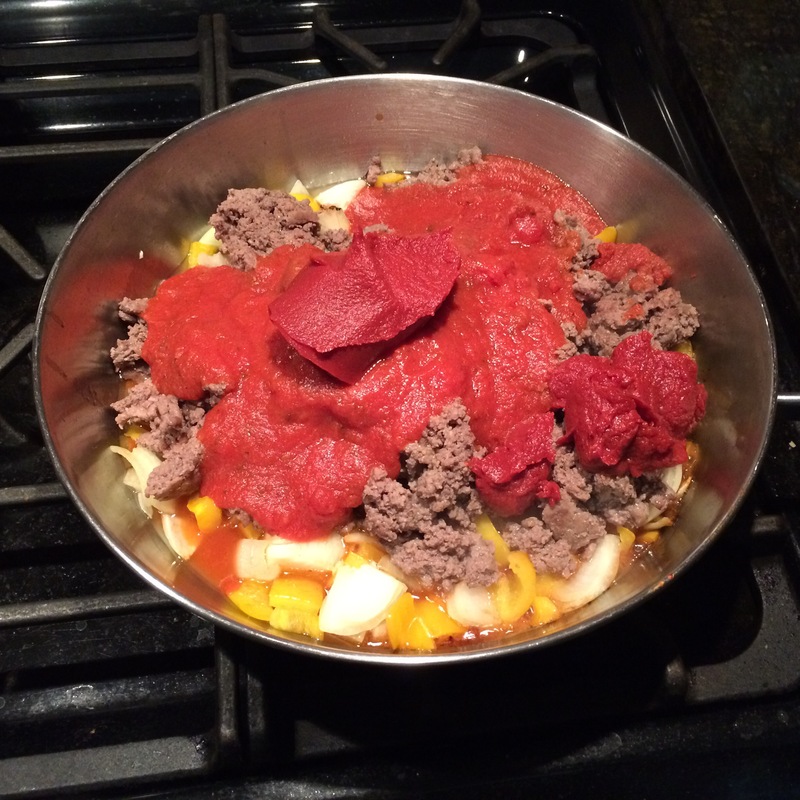 Add meat, tomatoe sauce, tomatoe paste, wine (optional), salt, pepper and add spices. Cover and simmer until done. Usually, I add the crushed garlic near the end, but today I put it in before I left. Adjust seasonings and serve. The girls ate it with noodles, their favorite. It was relatively fast and definitely easy. The girls were pleased. I am experimenting with different techniques to make potato kugel. My friend Devorah told me that when she wants a change of pace, she makes potato kugel using mashed potatoes rather than grated. I thought that it could be a good way to use up leftover potatoes and make something a little different. Then I thought that this could be an opportunity to raise the humble potato kugel to a whole new level, by adding different spices and layering different vegetables in. 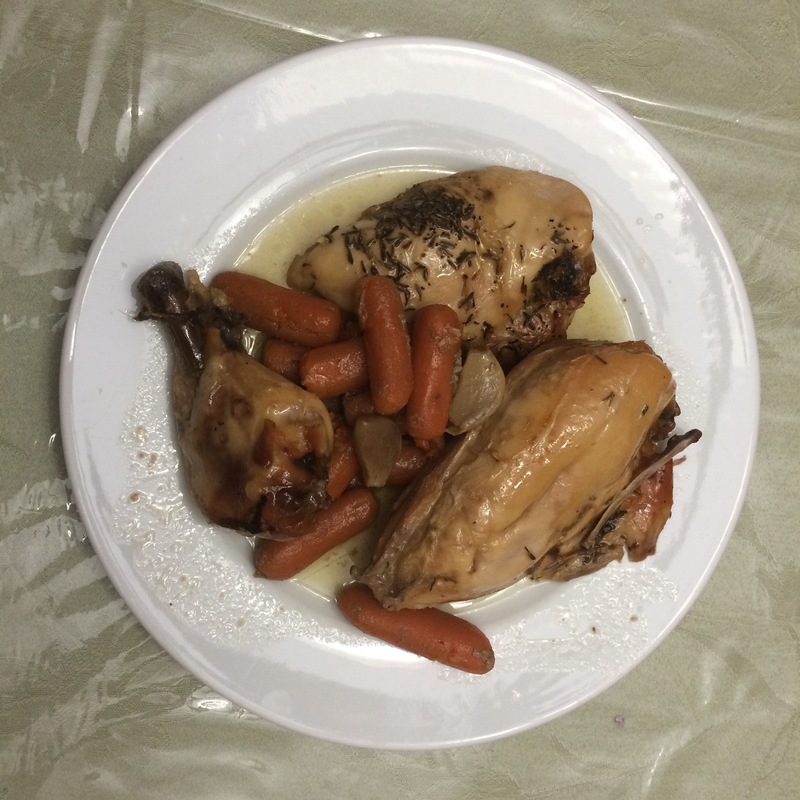 1⁄4 cup chicken broth or water, just enough to make the mashed potatoes smooth. Boil potatoes. Drain very well, and mash until smooth. I cook them in my pressure cooker, 10 minutes to pressure. Sauté onions in oil, until brown, but not burnt. Mix the onions and remaining oil to the potatoes. Add salt and pepper to taste. Put mixture into a greased pan. Sprinkle paprika on top. Brush with enough oil so that the potatoes will brown. If you want the kugel to be shiny, brush with a beaten egg, and sprinkle with sesame seeds, if desired. Put in oven at 350°, and bake uncovered for one hour or until top is firm and light golden at edges. 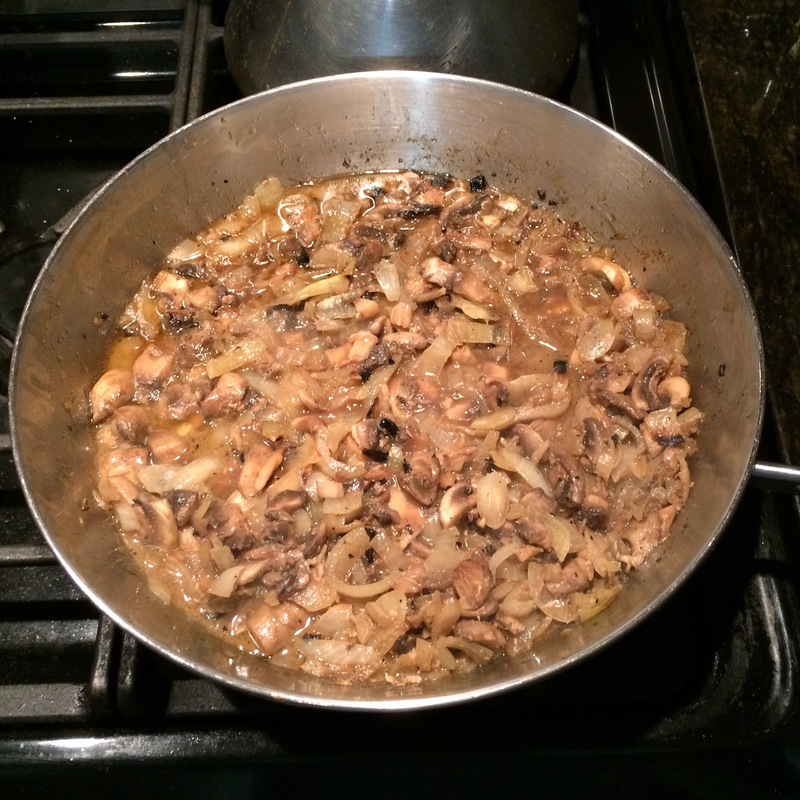 Sauté with onions. Mix half the sautéed mushrooms and onions with the potatoes. Sauté with onions. Mix half the vegetables with the potatoes. add sautéed zucchini with tomatoes, garlic and basil. Mix half of the sautéed onions and vegetables with the mashed potatoes. If you notice that it is too liquidly, add 2 beaten eggs. Place half the mashed potatoes into a greased pan. Layer the rest of the sautéed vegetables on top. Then layer the remaining mashed potato mixture on top. Smooth top of potatoes and sprinkle with paprika. I have made a tricolor vegetable kugel, using mashed sweet potatoes or butternut squash and sautéed kale with garlic as the middle layer. It is beautiful and delicious, but too time consuming! This simple recipe can become an opportunity to be creative and make something delicious and unique. 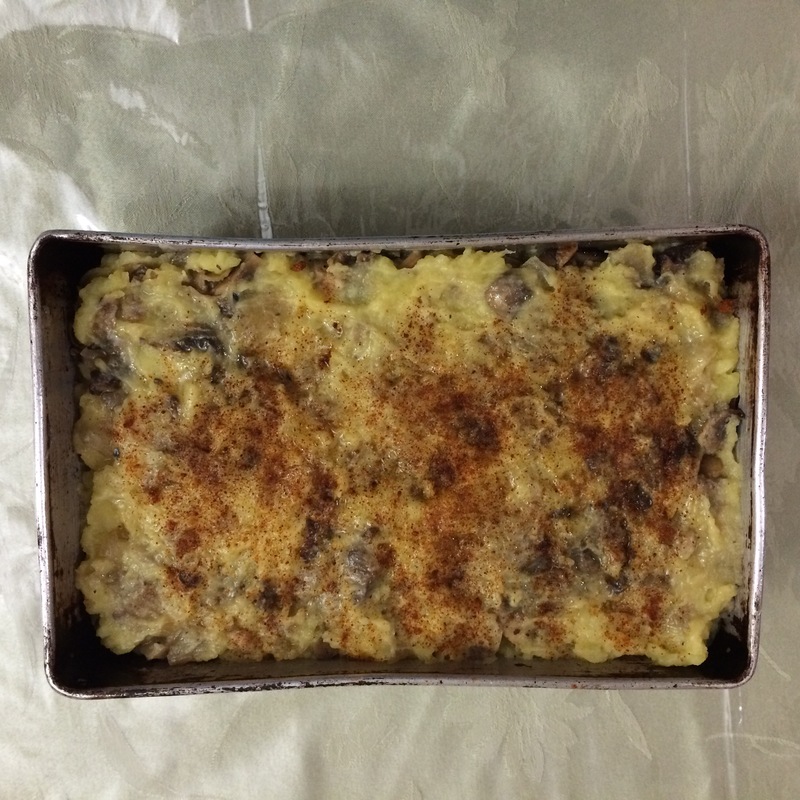 So this week I made the kugel with the onions that were cooked with the chicken and added fresh sliced mushrooms. I only made this with a 5 potatoes, since I wasn’t sure that it would work out. Since I used so small an amount, I used 1 egg only. I felt inspired to take pictures of the process, since I have never done this before. Then I mixed some of the vegetables with the mashed potatoes. I put half the potatoes in the pan. I added some more of the vegetables on top and then put the rest of the mashed potatoes on top. I covered it with some oil and then sprinkled paprika on top. 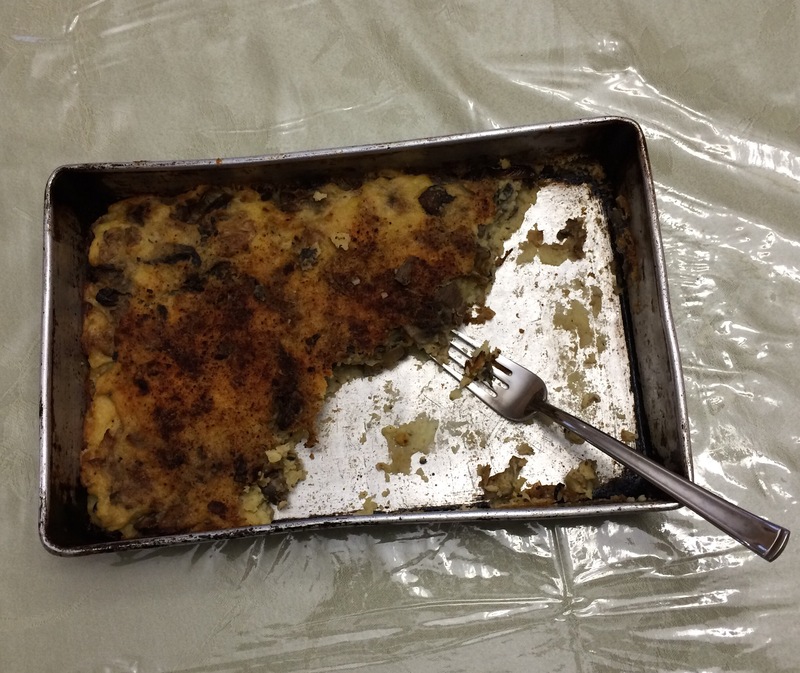 Raizel liked it so much, that she ate it right out of the pan. It was a good thing that I took the pictures, because it was gone by Friday night. This is an off topic post. As I have shared, I am a cat lover. Often, rather than talk about work, I tell my husband stories about any cats that I might have seen during the day. My husband is very kind — through experience, he has learned that sometimes it is wiser to hear about cats than to hear about what ACTUALLY goes on. Another side benefit is that every time my husband sees a cat, it makes him think of me. 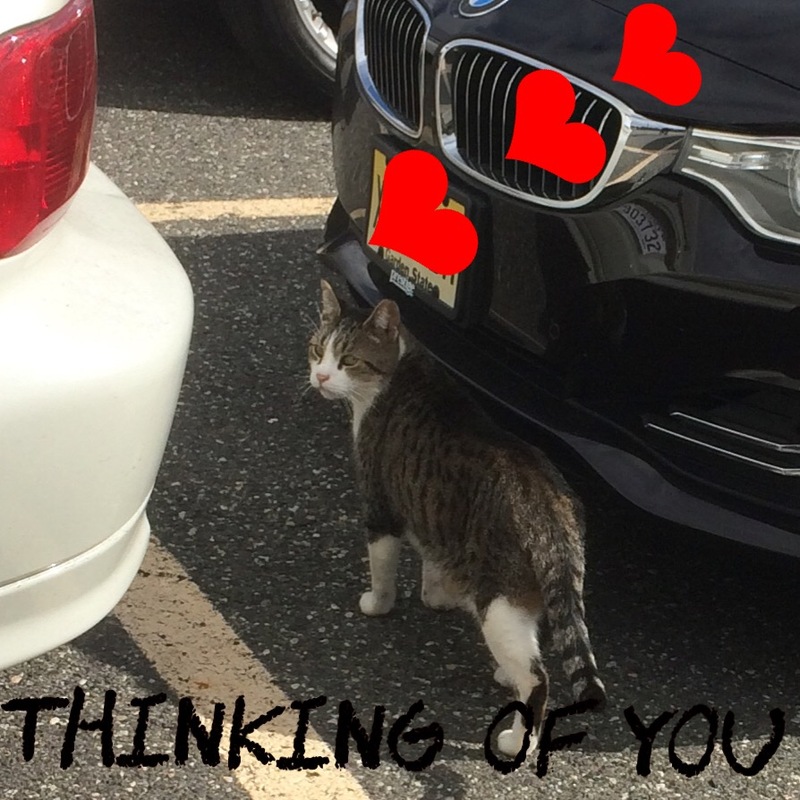 Yesterday he sent me a picture of this cat, saying “thinking of you.” I was so touched by the picture, that I thought I would post it. I am a sucker for a cute cat. Tonight I baked ready made bourekas. 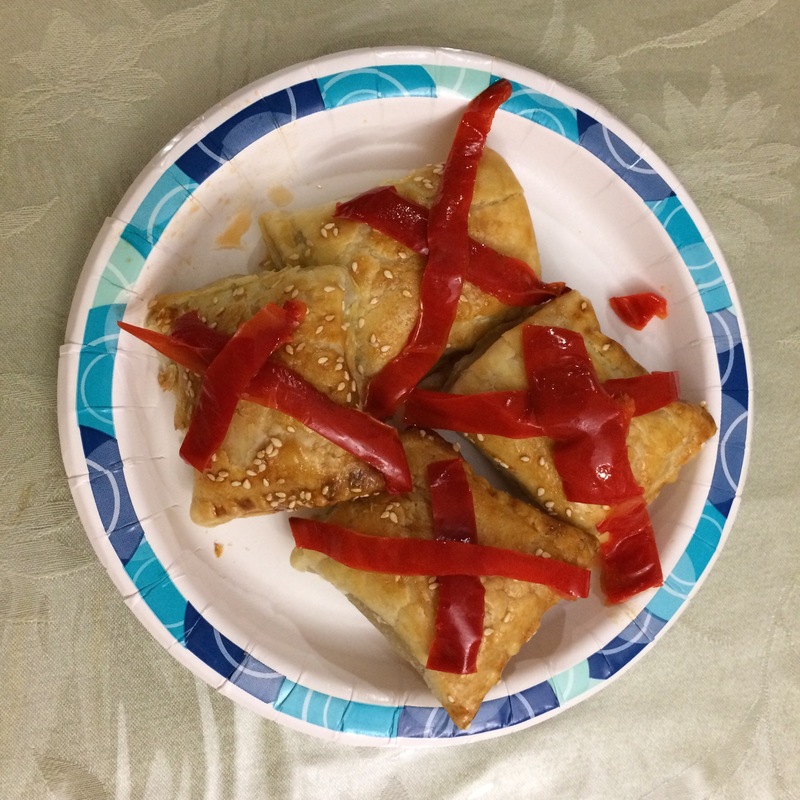 Raizel garnished her bourekas with roasted peppers that I made earlier. She surprised us and decorated it with a pretty pattern. Raizel was very happy with her creation and asked me to post it on the blog. She is budding food artist! Over the holiday, my oven turned off. I had all my food prepared and ready to pop in the oven and we were expecting guests for lunch as well. Fortunately my stove burners were lit. I needed to improvise quickly and change my menu. I made this recipe for the first time and it came out great! A definite keeper. Sauté onions in fat until cooked. I used chicken fat, as I happened to have some leftover from another dish that I made over the holiday. It was a definite flavor enhancer! Add chicken to pot. Stir tomato paste and broth to blend together and pour over chicken. I had leftover chicken soup. Bring to a boil and simmer until done. 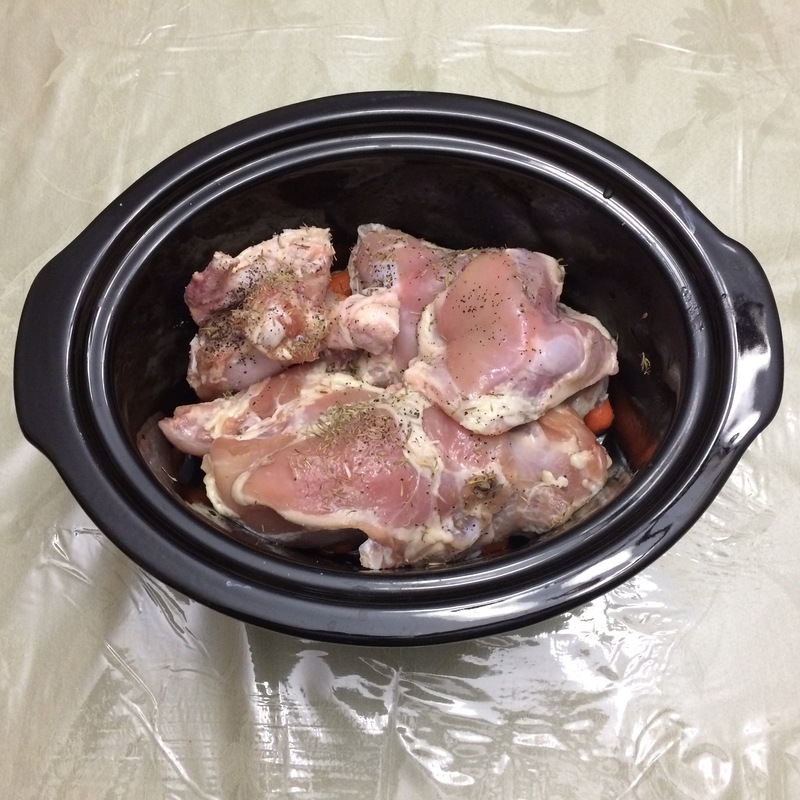 This can be made in the oven, crockpot or pressure cooker, 7 minutes to pressure.